Fair Trade Certified: What is Fair Trade Certification? Much like Organic certification, Fair Trade certification lets you know in relation to the origin of a product. Fair Trade Certified products come from all over in the world, but share a general history. Farmers who grow Fair Trade products get a fair price, and their community and the environment profit as fine. Fair Trade Certified coffee directly supports a well again life for farming families in the increasing world all the way through fair prices, society development and environmental stewardship. Fair Trade farmers market their own harvest through direct, long-term contract with international buyer, learning how to control their businesses and compete in the global marketplace. Getting a fair price for their harvest allows these farmers to supply in their families' health care and education, reinvest in quality and protect the environment. This empowerment model lifts farming families from deficiency through trade, not aid, create a more just and sustainable model of international trade that benefits producer, consumers, business and the Earth. 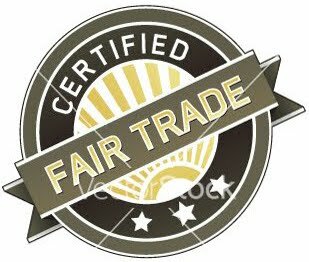 The Fair Trade Certified label is back by TransFair USA, the primary third-party certifier of Fair Trade products for the U.S. market. Labels: coffee, farming families, global marketplace.